After trying a few different options, I discovered the magic of Google Forms. I’ll never look back! 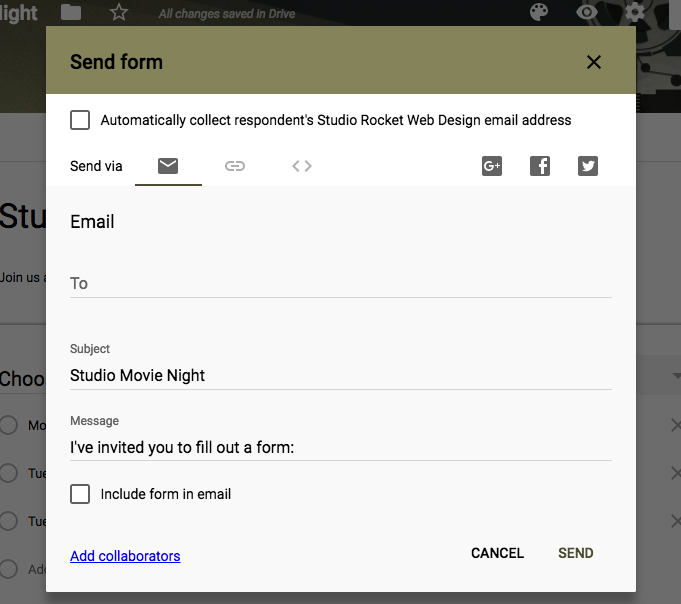 Google Forms are clean, simple, totally customizable forms that you can use for enrollment, polling parents, event sign-up, and more. Spend a few minutes playing around with this; there are so many easy options for collecting information. You can also choose whether to require email addresses. In most cases, requiring an email address is a quick way for me to see who has RSVP’d. Note: to access style preferences, click the paint palette icon in the upper right-hand corner. You can also use an image as a theme; Google provides a selection or you can upload your own (select “choose image” from the top of the right-hand theme menu). 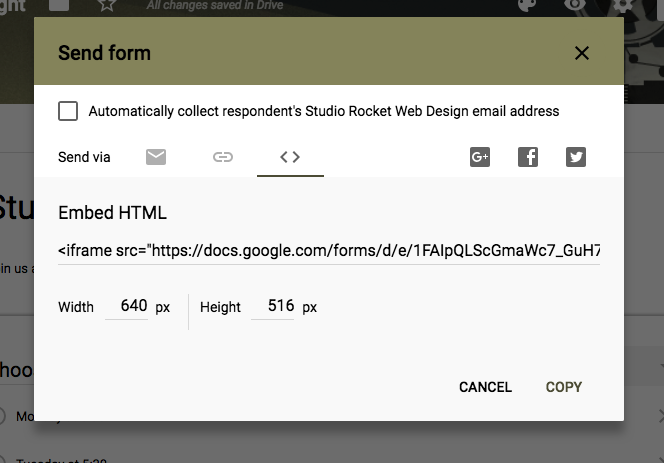 Click on the gear icon in the upper right-hand corner to check the settings on your Google Form. Several times now I’ve shared a Google Form only to have someone let me know that they aren’t able to access the form without a Google account. You can disable this function in settings by unchecking the “Restrict to users” box. One word of caution about this, from my own bumpy trial-and-error experience: the Google Form on your website won’t translate to mobile. The easiest work-around I’ve found is creating a separate, unlinked page on my website with a specialized width that’s optimized for mobile. Then I include a link to the mobile-friendly Form (Want to know more about how to do this? Send me an email and I’ll share specifics). 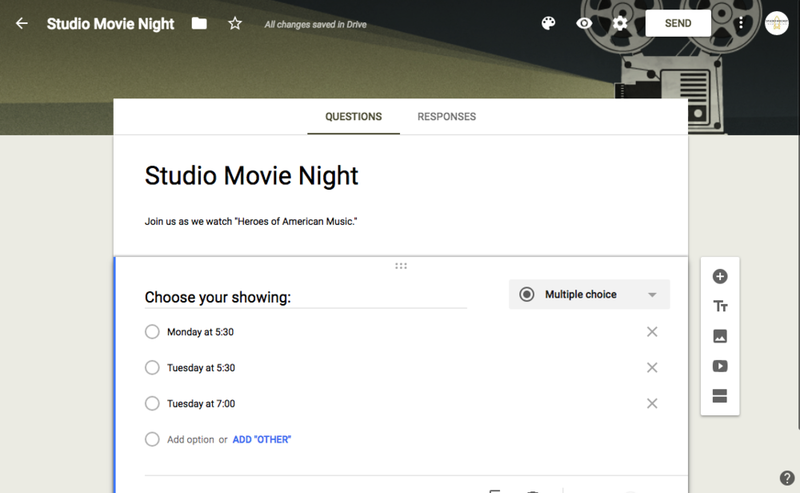 Let me know how you use Google Forms in your studio; I’d love to hear your creative ideas. Enjoy using this flexible, easy tool in your studio management!